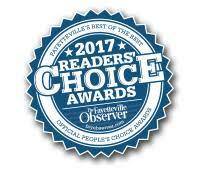 We were voted Best Boutique by Fayetteville Observer Readers in 2016 and 2017. We are so thrilled to hold the title of Best Boutique! We offer a variety of boutique brands, such as 143 story, Umgee, Zenana, Mittoshop, Gilli, Let them Eat Cake, Peach Love Ca, Fantastic Fawn, Jodifl, and Bellamie to name a few! We have a variety of jewelry and boutique accessories as well. Off The Racks Boutique is dedicated to bringing you the best quality and most variety of young contemporary and southern boutique fashions at the best prices! Our inventory is ever changing and we are constantly bringing you the latest trends in women's boutique clothing. We feel it is important to keep the boutique feel by continuously bringing in unique items several times each week. Our styles often sell out quickly, within hours even! If you see something you like, keep in mind that there is a chance we may not be able to restock! Our online boutique opened in 2014 and has continued to grow and expand with over 240k followers on social media alone. We expanded operations in November of 2015 to include a store-front location in Eastover, NC right outside of Fayetteville, NC. We cannot wait to see what the future holds for Off the Racks as we continue to grow the business! We are located at 3856 Dunn Road, Eastover NC 28312. Hours of operation Thursday-Saturday 11 am - 6 pm. We look forward to serving our customers each and every day. If you have any questions, please do not hesitate to contact us using the link here on our website! By taking advantage of our Review Rewards Program, you can earn $1 in store credit for every product review you submit on our website. Read more about our rewards program for details! Standard shipping is always free with no minimum order! We offer expedited shipping and shipping to Canada at an affordable price. If you need international shipping other than what is offered at checkout, please contact us for a quote. 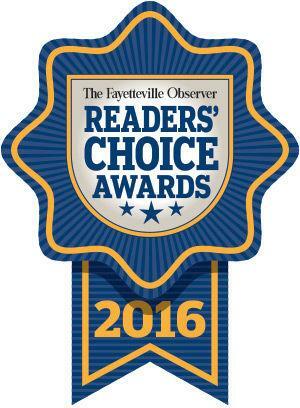 Thank you for Voting us Best Boutique in 2016 and 2017!